Last summer (2017), the President of Nikon confirmed what the world was dying to know. Nikon was in development of a mirrorless full frame camera that would be released “soon.” Almost instantly, additional specifications and details started to leak out across the Internet. People eagerly waited for the announcement of what was going to be, without question, the modernization and one of the greatest revelations in digital photography since the design and mass production of cell phone cameras. After much anticipation, on August 23, 2018, Nikon unveiled the new Z7 and Z6 full frame mirrorless digital cameras. The wait was finally over. The Nikon Z7 started shipping worldwide on 27 September — a month after the announcement. Demand for this camera has been unprecedented, and many consumers will likely be waiting months before they get a chance to own their own model. It has been estimated that Nikon had 40,000 Z7 cameras available at the end of September, with nearly a quarter of those shipping to dealers in the United States. Over the coming months, I will document my experience with the Z7 in an effort to provide as much information about the camera, shooting experience, and — most importantly — image output. This is not a “one and done” review; I will add to it regularly as I have new experiences with the camera. I truly believe a real review cannot be completed in just a few days — it takes months of continuous shooting — and so this review will reflect that philosophy. I can promise that I’ll cover as many topics as I can, barre one: video. I don’t shoot video, know little about video, and am woefully unequipped to discus video. As far as I’m concerned, the video features in this camera are merely in the way. The primary difference between the Z7 and Z6 cameras is the resolution and shooting specs; the Z7 features a 45.7 megapixel sensor, while the Z6 features a 24.5 megapixel digital sensor. Other differences include the number of autofocus points — which is almost twice as many on the Z7 (at 493 focus points) as on the Z6 (only 273 focus points). There are also differences in the ISO. The Z7’s ISO ranges from 64 to 25,612 while the Z6 ISO ranges from 100 to 51,200. Finally, the Z6 can fire a few more frames per second than the Z7. The difference in frame rate is probably a factor of the image size and write speed to memory cards, vice a mechanical difference. The Nikon Z7 and Z6 represent a turning point, and will definitely become historical milestone in the evolution of digital photography. Other companies may have released full frame mirrorless first, like Sony, Fuji, and Leica, but Nikon represents the largest company to yet produce a full frame mirrorless camera. No matter what other companies have done before, the release of the Nikon Z7 and Z6 will go down in the history books as an important milestone in photography. It will go down alongside inventions like instant film and, of course, the cell phone camera. I pre-ordered my Nikon Z7 before it even had a name. When I pre-ordered it with my local camera shop it was just called “the Nikon mirrorless camera that was coming soon.” Weeks before was announced, I put my name down on the pre-order list, guaranteeing that I will get one of the first units to be delivered in the United States. The day it was announced and the dealers had pricing information, I paid in full, cementing my place as one of the first to get my hands on the new release. Because I pre-paid, I got one the day it was released in the United States. By my math, it is also one of the first 1,000 bodies delivered in the USA (more on that later). The Nikon Z6 will start shipping soon, and I would encourage anyone waiting for that model to pre-pay in order to ensure they get one of the first ones. As photographers, it’s easy to get high on tech specs. So before we get wrapped up in the specifications of this particular camera, let’s generically discuss why mirrorless is important. Why this mirrorless camera thing is a big deal. Why this camera, over all other cameras, is a huge turning point in the market. The first time I used a full frame mirrorless camera was when I shot the Leica SL in London. Bringing that full frame electronic newsletter to my face instantly changed my perception on what I thought at the time was a trend — a photography fad. But when I looked through that electronic viewfinder, I immediately understood the value of a mirrorless full frame camera, and simultaneously understood that I was holding the future. One of the problems with DSLR's is that you don't see exactly what you're shooting as you shoot. There's a mirror that sits in front of the sensor and reflects light from the lens into a prism that you're looking into via the viewfinder. The limitation here is that the camera can only display a limited amount of information to the photographer through a small heads up display built into that prism. Furthermore, you are seeing a reflection of light through a mirror, not what the sensor will see. As a result, you are, in some regards, guessing what the sensor will capture based on your experience with that particular camera and the limited information available in the heads up display. With mirrorless, you get the benefit of seeing exactly what you're photographing at the instant the camera takes the image. You spend less time having to look at the rear LCD screen to review the exposure and the quality of your image, and spend more time actually composing and creating photographs. In other words, if your image is going to be underexposed, you can see that through the viewfinder before you take the image. You no longer have to remove your face to look at the rear LCD screen or browse a menu — you just see it. The other noteworthy advantage of a mirrorless full frame camera is that the flange distance between the lens and the sensor is significantly reduced. This sounds highly technical, but it’s worth understanding why a shortened flange distance is so valuable to a photographer. Flange distance is the distance between the sensor and the front bayonet coupling, where the lens and camera body meet. In most DSLR’s, the flange distance is somewhere in the range of 50-60mm; however, on a mirrorless full frame camera, that flange distance can be somewhere between 10-20mm. The result of this greatly reduced flange distance is that light enters the camera with less reduction. If you have a longer flange distance, than the engineer that designs your camera lens has to bring in more light for the sensor by making larger optical elements, which translates into larger lenses with more weight and ultimately greater cost. With a thinner flange distance, more light naturally comes into the camera sensor, allowing the same engineer to design a lens that is smaller, weighs less, and is (hopefully) less expensive. This also allows engineers to design lenses that would be pretty impractical on a full frame DSLR; for instance Nikon has already announced the development of lenses with an aperture of f/0.95. The same lens on a DSLR would likely be so unwieldy and expensive that it will be impractical for a company like Nikon to even entertain building and designing it. Of course mirrorless is not perfect. The greatest drawback these days for a mirrorless camera is the battery life. Because the viewfinder is electronic, the batteries are constantly having to provide electricity for the small LCD screen that you're looking at in the eyepiece. This drains batteries faster than they would in a comparable DSLR camera. The good news; however, is that battery technology these days is very good. Even if your mirrorless camera gets a fraction of the battery life that a DSLR might get, batteries are so affordable, they almost can be treated as a consumable. Buying and carrying four or five batteries to have lots of spares and no fear of running out is really not a big deal. So why is Nikon's release of the Z7 such a big deal? Why is the Internet and every blogger on YouTube suddenly going crazy when other companies have already released similar cameras? Because Nikon represents the largest manufacturer to enter this market. Companies like Sony, Fuji, and Leica — who all got into the market with a full frame mirrorless camera first — don’t have quite the following the company like Nikon or Canon has. If you are a current Nikon shooter and wanted to transition into a mirrorless camera you might have to sell more than you were willing to sell. You probably have a collection of lenses from Nikon that you would have to sell in order to buy another brand’s model. But now Nikon can hope to sell a mirrorless camera to existing customers by allowing them to use the lenses they already have for their existing Nikon system. 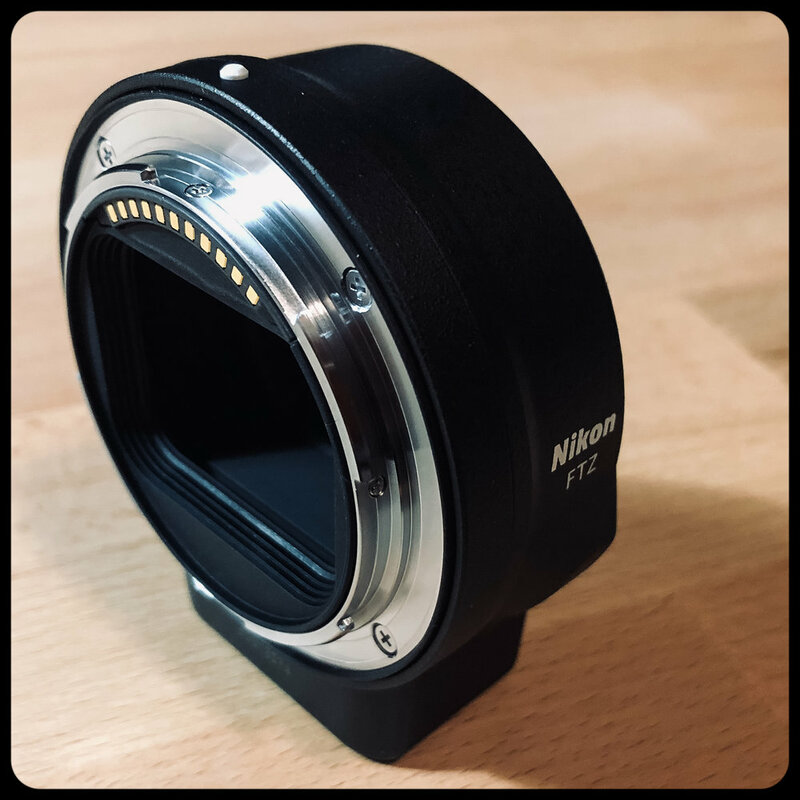 In order to offer this backward compatibility, Nikon developed an adapter (the FTZ adapter) that allows you to mount almost any existing F-mount lens to the Z7 or Z6 while still maintaining autofocus. That means if you already own some unique lenses or lenses you really enjoy the character of, you don't need to part with those lenses as part of the admission into the mirrorless club. This is incredibly well thought out by Nikon because they will be able to corner a large portion of their current DSLR owners and convince them to buy into this new digital technology. Although Nikon is offering an adapter to make existing F-mount lenses compatible, they are also releasing a new series of lenses designed to maximize the advantages of the new lens mount. The new lens lineup, dubbed the “S-line” contains many of the benefits of previous Nikon lenses, such as nano crystal coated glass. The announcement of twelve lenses for this system within the first two years is very remarkable. By comparison, Leica has only released a quarter as many lenses for their mirrorless full frame Leica SL camera, yet it has been on the market several years longer. 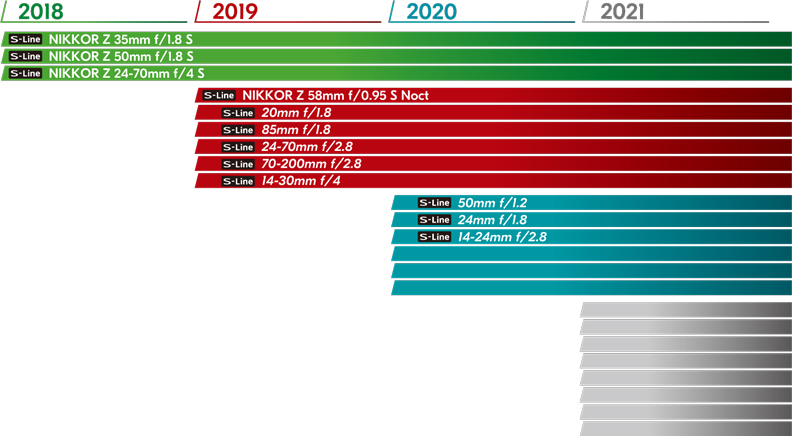 The difference in lens releases is one of the main reasons this camera’s release will be such a big deal; outside of maybe Canon, no other manufacturer can compete with Nikon’s ability to develop and get new glass to market as quickly. Nikon was also teased that they will be developing additional Z camera bodies to meet the needs of other photographers — such as sports photographers — who may require a longer battery life, multiple memory card slots, and high frames per second shooting speed before transitioning from their DSLR bodies to mirrorless. I don’t want this to sound like I’m a hater, because I am not. But I don’t think Nikon makes the best lenses. They make fine lenses, but not the best. Fine. Acceptable. Acceptable, for most. However, I am one of the few who really values good glass. A good lens is more important than a good camera. The camera can only gather and process the light that the sensor receives. If the sensor gets imperfect light, then you get an imperfect image, and there is nothing the camera can do about it. In other words, the Nikon Z7 is as only as good as the glass you put in front of it. Ever since I became a Leica shooter, I’ve been a very discerning photographer when it comes to lenses. I now prefer manual focus primes to zooms, and would rather not have to click buttons in Lightroom to “correct” an image by removing chromatic aberrations, distortions, etc. Remember, good light in = good image out. For dSLRs, Zeiss makes some of the best lenses on the planet. So I have spent quite a bit of time shooting the Z7 with my Zeiss Milvus lenses in order to evaluate the results when I put the best possible glass in front of the Z7. Here are some of my results…. 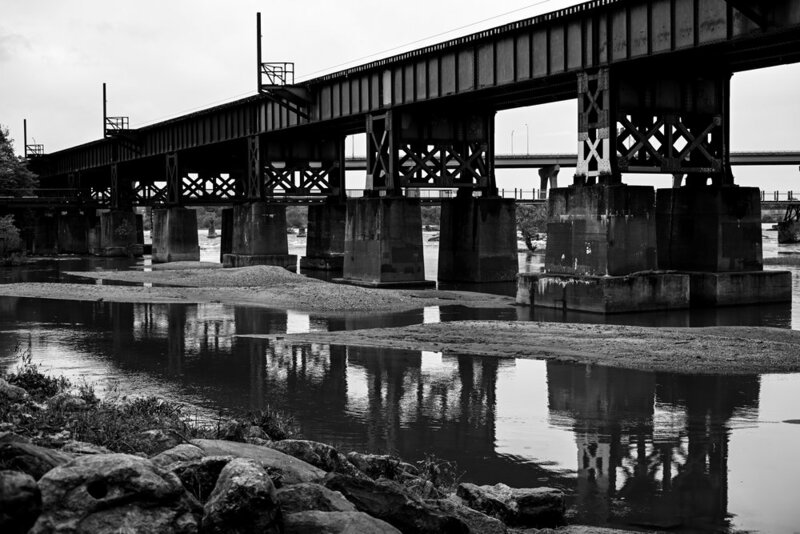 Bridge to Belle Island, Richmond, Virginia. Nikon Z7 with Zeiss Milvus 50mm f/2. Urban landscape in Richmond, Virginia. Nikon Z7 with Zeiss Milvus 50mm f/2. Exploring an old factory that once made components for World War II tanks. Nikon Z7 with Zeiss Milvus 50mm f/2. 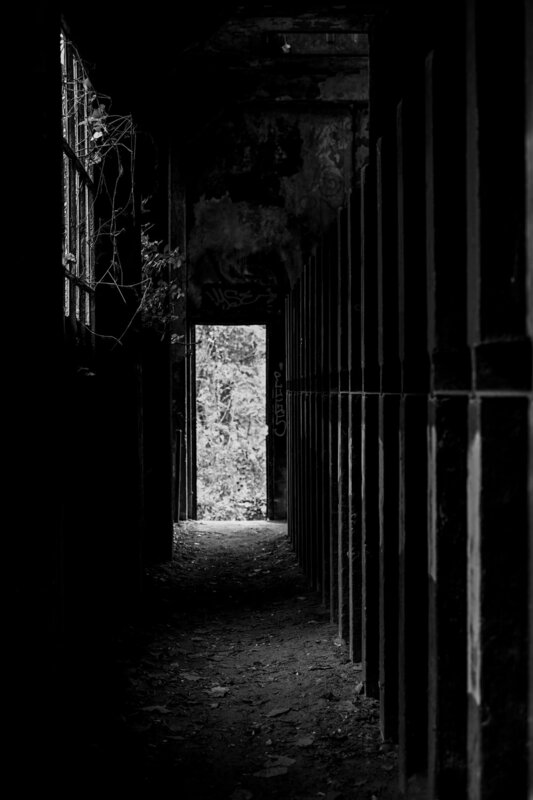 Inside the old factory. Nikon Z7 with Zeiss Milvus 50mm f/2. Abandoned control room of a former water pumping station on the river. Nikon Z7 with Zeiss Milvus 50mm f/2. Urban decay. Nikon Z7 with Zeiss Milvus 50mm f/2. Nikon engineers reportedly put great emphasis on the ergonomics and shooting experience they designed the Z7 and Z6. The right hand grip hearkens back to other Nikon DSLR’s, but unique to this camera are new buttons, wheels, and joysticks enabling you to control camera menus while looking through the electronic viewfinder. The smaller size of this camera compared to most of the DSLRs is currently on the market is extremely advantageous. It will fit into smaller bags, be more discreet, and less intimidating looking than a DSLR body. One of the compromises that had to be made in order to accommodate the smaller body size of the Z7 is that Nikon included only one memory card slot. This fact caused many Internet bloggers to freak out at the announcement, and in many ways distracted reviewers from the camera and the benefits of the camera itself. Rather than talking about the benefits of an electronic viewfinder and the wonderful image quality this sensor will produce, people latched onto the single memory card, and the Internet has been on overdrive discussing this revelation ever sense. Therefore it is only logical that I too jump into the mix with my thoughts on the single memory card decision. 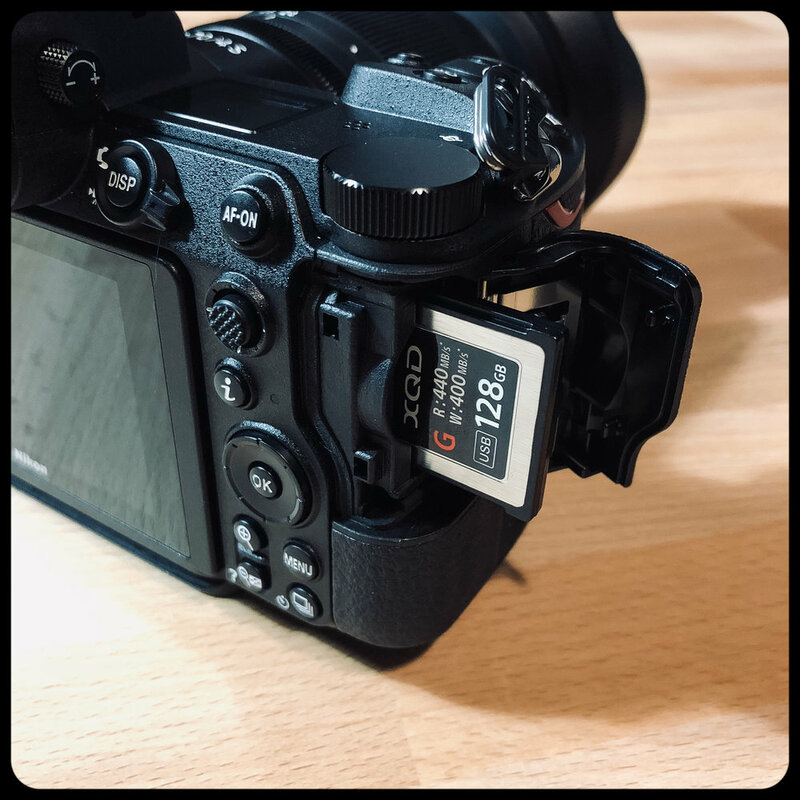 The Nikon Z7 and Z6 both utilize a memory card format called XQD. The XQD memory card is not new, although it's certainly not a mainstream formats (like SD) yet. In fact, when the Nikon D850 was released, it was very difficult to find XQD cards for sale. Thankfully additional manufacturers, including Nikon themselves, have entered the market and it is now possible to find XQD cards from a variety of manufacturers and a whole host of sizes. XQD cards cost quite a bit of money compared to cards like SD, but they are significantly more reliable. SD cards are prone to failure and routinely do fail. XQD cards, by comparison, have a very low failure rate. XQD cards also have a very high data transfer rate, and can read and write in excess of 400 Mb per second. When you're discussing a 45 megapixel sensor that read/write speed is absolutely critical. Personally, I think the hubbub surrounding the single memory card issue is being wildly overblown. People have become used to having two memory cards because manufacturers were compensating for the lack of reliability in SD formats by adding backup slots. As a result, consumers got trained on the idea that we need a backup. But you only need a backup if the primary is prone to failure. If we think back just a few years ago, when cameras all shot film, we were used to taking the risk that you could have a catastrophic failure and lose all of your images. The difference between film and a single memory card is that film can never be recovered. No amount of money and no lab can bring film back once it's been destroyed. But if an XQD card did fail, for a reasonable fee, you could pay to have your images recovered. In my mind, the benefits of the faster read/write speed and the reliability that XQD memory cards have negates the “drawback” of having only one memory card slot. And anyone who feels so passionately that they require a backup better be carrying multiple camera bodies and redundant systems anyway. Some users have dubbed the Z7 as the mirrorless D850, which is a compliment and nod to the exceptional image quality. Nikon raised the bar for dynamic range and sensor performance with the D850, and the Z7 has at least met, if not exceeded, the bar set by the D850. I don’t shoot in a lab. I don’t own a white jacket or a clipboard. I am completely and utterly unqualified to tell you anything scientific about the performance of the sensor. What I can tell you, though, is how it responds to my real-world shooting. The first day I owned the Z7, I went for a hike in a local National Park. It had been raining all week, but was finally a pleasant and sunny fall day. The heavy rain in the proceeding days meant that much of the trail was damp, which is actually great for pulling out color. 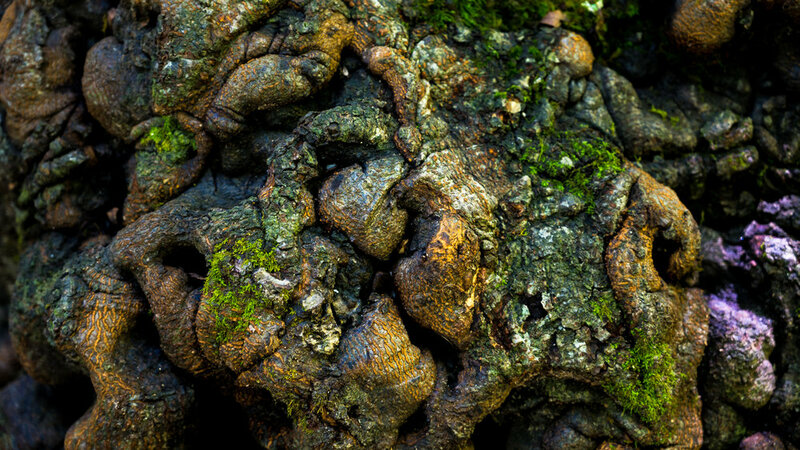 Logs, trees, bark, and mosses are all more vibrant when they are just barely damp. Knowing this, I aimed the camera at a variety of naturally colorful subjects in an effort to explore the native color rendition and dynamic range of the camera. To say I was impressed was an understatement, and I am editing these images with a version of Lightroom that doesn’t fully support the Z7 yet! 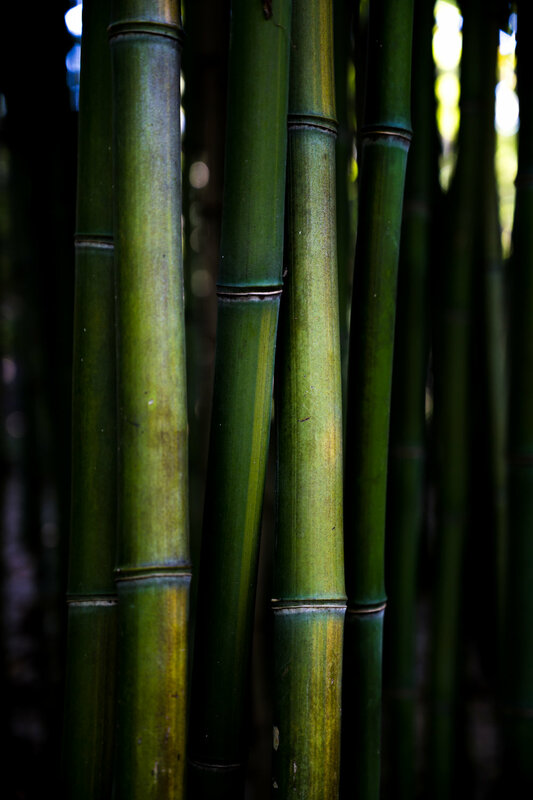 Presumably, there may be incremental improvements to be had in the image quality when Adobe releases an update to Adobe Camera Raw to support the Z7 files. Anyway, I barely touched the vibrance slider to get the results you see here. Most of the images were under exposed by -1/3 stop (using exposure compensation). Underexposing by a smidge can help preserve shadow detail for post production, so I almost always have the file slightly darker. 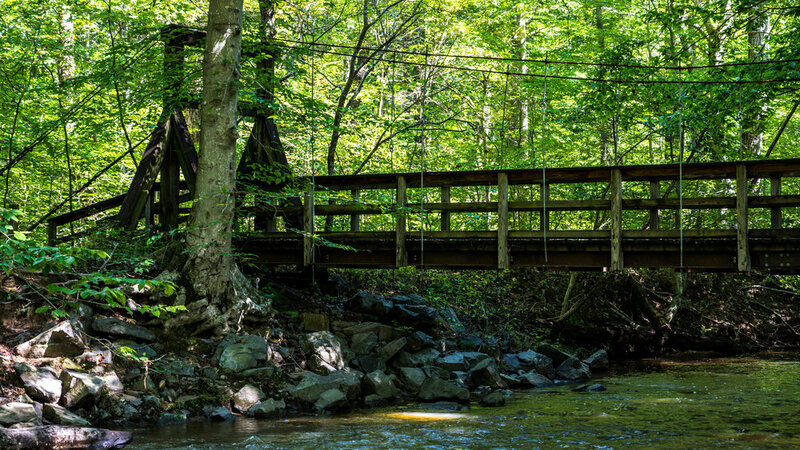 The photograph of the waterfall here demonstrates how much dynamic range is captured by the Z7 (be sure to click on it for a full-sized preview). There is still detail in the highlights where the sky and tree leaves meet, as well as great detail in the shadows of the rocks and tree bark. The whole thing is rather remarkable given how complex this scene is — normally I would use graduated neutral density filters to help the camera out, but this was shot without any assistance. I have not explored much by way of high ISO shooting, and I doubt I’ll ever have much to say there. I really try very hard to avoid shooting above ISO 1600. I would rather use a tripod and take a longer exposure than raise my ISO. I’m sure it’ll happen at some point, but thus far I have no observations on the ISO performance. Once again, I am reminded how much I appreciate the high resolution of the Z7’s sensor. I used a 200mm macro lens to photograph some bugs and flowers and was pleased to see how far I could crop and still preserve incredible detail in the file. Granted, some of this is attributed to the lens, but the high resolution sensor provides great opportunity to get the most out of uber sharp glass. Thus far, I have found the metering, auto white balance, and auto focus to be very accurate, but will follow up with more information about those topics in a future update…. The Nikon Z7 produces beautiful colors. Maybe even too beautiful. I am used to playing with the vibrance slider in Lightroom in order to put some “pop” in the colors of an image taken with another camera, but the Z7 doesn’t need that. Straight from the camera, the images are bursting with color. They almost look Photoshopped in their RAW format. I have actually found myself desaturating a few images because the colors were more vibrant than what I wanted. But that isn’t very common, and for landscape photographers, I can attest that the Z7 will preserve your shadow details while still giving you a nice rich blue sky. Belle Island, Richmond, Virginia. Nikon Z7 with Zeiss Milvus 50mm f/2. Look closely at the above photograph. I took this photograph on an overcast afternoon in mid-October. The leaves were just starting to change, and the sun was getting lower on the horizon. This is what I got out of the camera. I cropped the photograph and sharpened it slightly, but that’s it. The rest is au natural. The detail and color preserved in the tree leaves and also in the clouds is absolutely unreal. I actually desaturated the corners of the above photograph slightly. I had to, because I thought it otherwise could look “over processed” out of the camera! The electronic viewfinder (EVF) is arguably the heart and soul of a mirrorless camera. A bad EVF ruins the experience of shooting with a mirrorless camera, so it was critical that Nikon get this new component correct. My previous experience shooting a mirrorless Leica SL taught me how important the EVF is for composition and previewing the image at the moment of capture. My “keeper rate” of images was much higher with the EVF than with a prism viewfinder, and I had high expectations from Nikon. The Nikon Z7 checks all of these boxes. The viewfinder is responsive, sharp, and pleasant to use. There is minimal lag and only an aggressive shake will create any noticeable shuttering. It is fast to refresh after taking an image, and it seems to be pretty accurate in providing real-time feedback on the exposure. Thus far, I have only positive things to say about the EVF; it works exactly as I have come to expect, and there has been no disappointment in the rendering of information on the display. I’ll update this section with more comprehensive feedback on the EVF after I’ve used it in more extreme conditions, but so far, so good! I had the same question as — based on the number of emails I’ve received on this topic would indicate — many others have about the Z7: “Can Nikon’s first mirrorless digital camera keep pace with the juggernaut D850”? And how does the Z7 hold up when compared to the established dominance of the Leica SL? These head-to-head comparisons assume a lot about the definition of ‘better.’ Everyone wants to know which is better, camera X or Y. But the reality is that what is better for me may be worse for you, and I encourage you to read on with a grain of salt. A feature that I like and view as a pro might be a con in your shooting, so keep an open mind. And leave me a comment with your thoughts. Now to my comparisons….know that I have owned all three of these cameras within the last year. I don’t review things I have only tried out in a demo. I am pulling this comparison from my personal use of cameras I purchased with my own cash. I sold the Leica SL in favor of the D850 because I was motivated by two things that the D850 had over the Leica SL. I quickly regretted that swap. While the D850 is a phenomenal camera, I missed the electronic viewfinder almost immediately. If you want to dig more into the comparison and pros and cons of the D850 vs Leica SL, check out my post where I compare those kings. Anyway, I never fell deeply in love with the D850, and I’m not infatuated with it (unlike so many other internet bloggers). It’s a good camera, don’t mistake me, but it’s just not a camera that speaks to me. Both produce spectacular results. Seriously. There’s a reason the labs are so in love with these sensors. I don’t test in a lab, but I have been nothing but impressed with the quality of the images both produce. The Z7 is reported to have marginally better dynamic range, but I don’t think it’s an appreciable difference. The fact that the DSLR line has been on the market longer means there is more stuff available. More lenses. More after-market battery grips and do-hickeys. 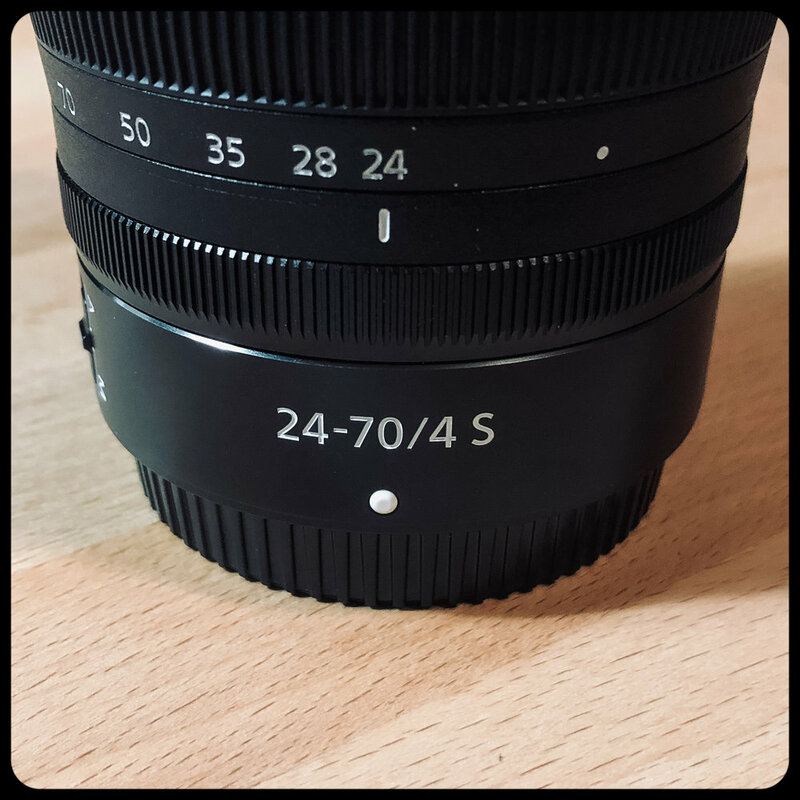 The Z7, while able to adapt to most F-mount lenses, looses some functionality with certain lenses. For instance, my macro lens doesn’t autofocus on the Z, but does on the D850. This isn’t a big deal to me, and the Z7 will quickly catch up in the market for availability of after market goodies. But, for now, we wait. The Z7 has an electronic viewfinder. And I’m sorry to all you prism lovers, but electronic viewfinders are far superior. I also think the ergonomics and grip on the Z7 is better. Finally, the button placement on the Z7 and controls I think are a little better arranged. The D850 is very familiar — particularly for anyone who has experience with Nikon DSLRs — but the Z7 is refreshing in it’s modernity and form factor. No contest here. The Z7 is smaller in every dimension, and it’s lighter and easier to carry while traveling. Depending on which lens I am using, it waffles between the two cameras as to which is faster to focus. There are some lenses that are certainly faster on the D850, but the converse is also true. 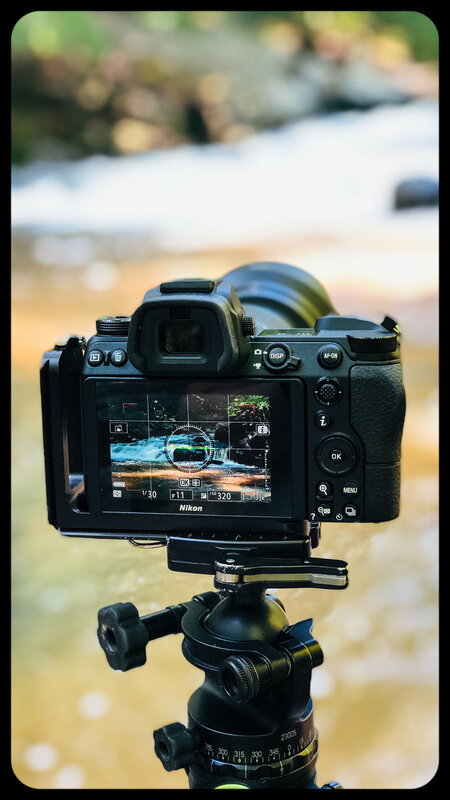 I would over an overall edge in focusing to the Z7 just because of the electronic viewfinder, and the versatility that affords in real-time evaluation of precise focus. Overall, I give the Nikon Z7 a solid “better” over the D850, which mostly has to do with my shooting style. I am a landscape photographer….the trees and mountains aren’t moving. I can take my time to compose, focus, and create the image. For me, the benefits of a small, lightweight mirrorless camera far outweigh any cons this camera has, and the Z7 easily tops the D850 in my mind. The D850 may be a more versatile camera today, but that will change in time. The Z system is brand new, and Nikon was pretty tight-lipped about the development, so it’s not surprising that there’s a lack of after-market accessories and 3rd party lens options. But that will change with time, and I imagine any benefit the D850 has in this regard today will be neutralized in a year or less. This is where things get more complicated for me….I’ve established for myself that a mirrorless camera is far better than a prism DSLR. But when I compare two wonderful mirrorless cameras side-by-side, the evaluation get’s complicated. The main reason I ever sold my Leica SL was because Leica was behind on the development of new lenses for the system, and I wanted a system where I could mount a 500mm super telephoto and then a 20mm wide angle. But I have always known the Leica glass is optically superior to that of Nikon, and now comparing two similar systems is very challenging. Image Quality: Not sure yet! I used the Leica SL for nearly two years. I published a book with it. I got to know that camera extremely well, and I knew what to expect from every image. I understood the limitations and strengths of the sensor, and when I needed to employ some creativity to capture the image I saw in my mind’s eye. Conversely, I have had the Nikon Z7 for a few weeks. The number of images I’ve taken with it number in the hundreds, compared to the tens of thousands. So I cannot definitively say that the Z7 is better than the SL (yet). However, the results I’ve seen thus far are very promising. The Z7 preserves fantastic shadow detail, has great tolerance for highlights, and has some of the most naturally vibrant colors I have seen in a camera. But until I’ve really pushed this camera to the edge, I can’t declare one of the cameras as better than the other in the image output. Ironically, the Z7 at it’s release was already more versatile than the Leica SL. Both companies released an adapter that allows for mounting of other system lenses on the mirrorless bodies, but Nikon has more lenses available, and therefore more versatility. Leica doesn’t offer long telephotos for nature photographers, nor do they have much selection in macro lenses. Nikon does; and their adapter permits more freedom of application for the Z7 on release day than the Leica SL has achieved in years of development. The Leica SL wasn’t perfect, and one of the most glaring flaws on that camera — the lack of ergonomics and harsh metal build — is actually one of the highlights of the Z7. However, the SL had much more customization, and the controls were a little better laid out and designed than those of the Z7. Nikon has opportunity to narrow that margin by offering firmware updates that permit different customization of the button controls, but until that happens, the SL has the edge in terms of experience. The SL had so many opportunities to customize the controls, that the camera became a natural extension of your brain, eyes, and hand. The Z7 has the potential to achieve that as well, with future software updates. If I have to pick between the Z7 and SL today, it’s a tough call, but I probably pick the Z7. I’d make that choice based on the availability of lenses, cost, and that the image quality and shooting experience meet or have the potential to exceed that of the SL. Honestly, my attraction to the SL is probably driven more by emotion than anything else; I had a great run with that camera. It travelled around the world with me, and the artwork I made with the SL carries great emotional value. I haven’t had the Z7 long enough to bond with it in the same way. You’re probably thinking that I talk and write about cameras as though they have feelings. Like that camera is more than just some metal and plastic and wires and circuits. To me, they are. An effective camera is one that I bond with at a deeper level. Not that I have some sort of weird physical connection — but the connection like a painter has with his brushes and studio. When a camera has effectively become an extension of my eyes and brain, I can use it to capture the most beautiful sights on our planet. I think I’ll get there with the Z7. I think we’ll fall deeply in love, and that camera and I will forge a new bond. But it takes time, and I’m not there yet. Now I know you want resolution. You read this far…. you don’t want to hear some soppy love story about a camera. You want the unvarnished truth about which is better. And I don’t want to disappoint you. So I’ll give you my personal rankings of these three cameras. If you handed me a blank check and told me to purchase any of the three today, I would NOT pick the D850. Personally, I don’t see the benefits anymore. I’m all in on mirrorless. I would buy the Z7. I see a ton of potential in this lineup. The lenses Nikon will release in the future; the promise of what is to come. It’s not a perfect camera yet, and the SL rivals it today. But the head room for the Z7 is much higher. Nikon is a bigger company with more money for R&D. There will be more strides and more innovation in the Z7. There will be more lenses for the Z7. 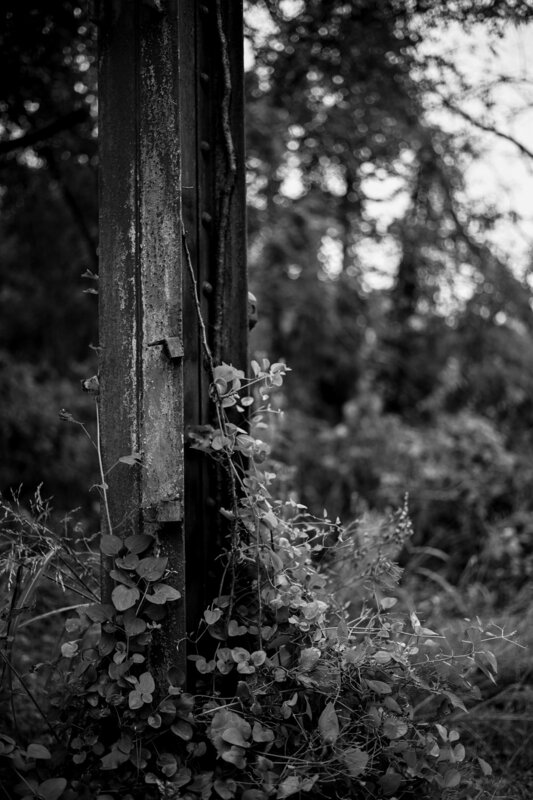 The image quality probably matches or exceeds that of the Leica SL. Objectively, the Z7 today is a better place, and will almost certainly be the better choice in the long term. One of the often under appreciated benefits of a mirrorless camera is that you can effectively hand hold and get sharp images at slower shutter speeds than you can with a comparable DSLR. In other words, I struggle to hand hold a sharp image at anything slower than 1/60th with the D850, but have no trouble hand holding at 1/20th on the Z7. I have pushed that a little further and - depending on the situation, my posture, and the scene, I’ve been known to sneak sharp images at 1/5th or slower. What this means in practice is that you can use a lower ISO with the Z7 and achieve a better result. As good as sensors have become at shooting at higher ISOs, it’s still an indisputable fact that the best image will always come from a lower ISO. So if I can hand hold at night at ISO 400 vs ISO 1600, that’s a considerable improvement in image quality. Nikon released the Z7 with the FTZ adapter, which allows Nikon F-mount lenses to me used on the Z7 and preserves full functionality on most modern lenses. Almost immediately, the question became: “What else can we mount”? The answer is almost anything. Sigma, Zeiss, Tamaron, etc all have made lenses for the Nikon F mount that can be adapted with the FTZ adapter with varying degrees of functionality. Likewise, 3rd party companies are developing adapters for mounting Canon, Hasselblad, Leica, Sony, and other lenses. In due time, there probably won’t be many lenses that can’t be attached to the Z7 in some way shape or form. Personally, I’ll be investing in an adapter that will allow me to mount my Leica M-mount lenses from my Leica M10 onto the front of my Z7. 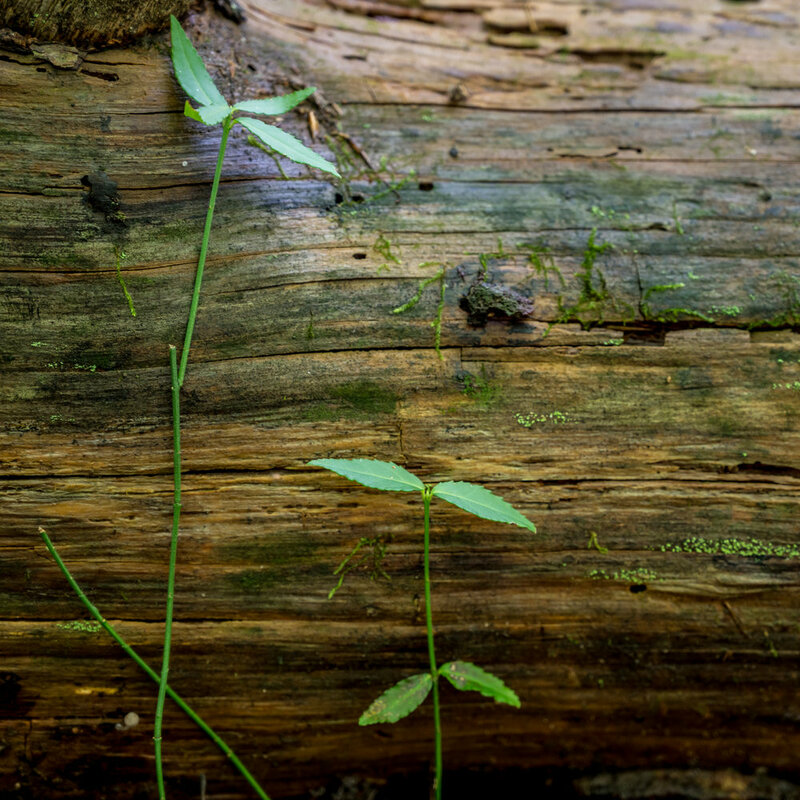 I love manual focus lenses, and am excited by the prospect of using them on my Z7. There is already one adapter with a plastic mount on the market, but I’ll be waiting for the metal mounts…. Nikon seems to have stuck to their traditional serial numbering system for the Z-lineup of cameras. The first digit of the serial number indicates the region the camera was for sale in, with the number 3 being for USA market cameras. Therefore, a serial number for a Z7 sold in the USA will have a serial number formatted as 3XXXXXX. In my case, the serial number is 30009XX, representing a late-900’s serial number. It is my understanding that this means I have one of the first one thousand units delivered to the United States. EVF Zoom Via Joystick: The joystick (located below the AF-ON button) has some user-customizable features, but there is one customization not included; the ability to zoom into the center of the EVF for precision focusing. As far as I can tell, the only way to zoom in on the viewfinder to check focus is via the + magnification glass button, which is toward the bottom of the body. Unfortunately, to reach that button, I have to contort my hand away from shooting position, so it’s very awkward to use. The Leica SL joystick allowed this feature, and I LOVED it — particularly for macro or telephoto shots. Nikon, please allow me to program the joystick click button as an alternate zoom button. Faster Joystick Tracking of AF Points: This will sound really stupid…. The joystick on the Leica SL was very responsive to movements of the AF points around the viewfinder. The Nikon Z7 joystick does not move the AF points with the same briskness, and I’d like to be able to speed it up. Please let it take less time for the focus cursor to move across the screen when I hold the joystick. More Friendly App Integration: Again, I am basing this on my experience with the Leica SL. The SL’s app and wifi integration was much cleaner, and there are too many cumbersome menus that aren’t well explained built into the Z7. Simplify this! Virtual Horizon Without the Whole Compass: I don’t understand why Nikon feels compelled to put this big compass thing (I know it’s not actually a compass, but I don’t know what else to call it) in the center of the frame with the virtual horizon line. Let me just have the line sans the extra stuff. Built in GPS: Seriously, this technology has been super miniaturized, and it’s fun (and helpful) to see a map of all the photographs I’ve taken based on their geolocation metadata. No extra dongles, just put the GPS in body. A Slightly Taller Body: Nikon, I appreciate what you did to make this camera smaller and lighter than the D850; my camera bag appreciates it. However, the bottom of my pinky is just barely on the body, and it’d be nice to have a few extra millimeters to feel like my whole hand has a complete grip on the body. At the time of writing, the XQD format of card is still shockingly expensive, but that will change as more companies come to market. In the mean time, have one or two backup cards handy. You can use the EN-EL15A, EN-EL15B, or any of a number of 3rd party lenses. I think it’s worth paying a little more for the EN-EL15B battery, which allows for in-camera charging via USB. This is a no-brainer for me. I need an L-plate to mount my camera to the tripod in a horizontal and vertical position. I have pre-ordered the new RRS plate for the Nikon Z7, but it has not shipped yet. Thankfully, the RRS universal L-plate fits the Z7 incredibly well. This is a living review; I will be updating it continuously in the coming weeks and months as I use the Z7 and can provide first-hand account and testimony of its performance. Until I have put the camera through its paces, I won’t be so irresponsible as to comment on every feature.